Reflections from Tim Houghton, Community First’s CEO, on our recent Members Event and the future direction for Social Prescribing. 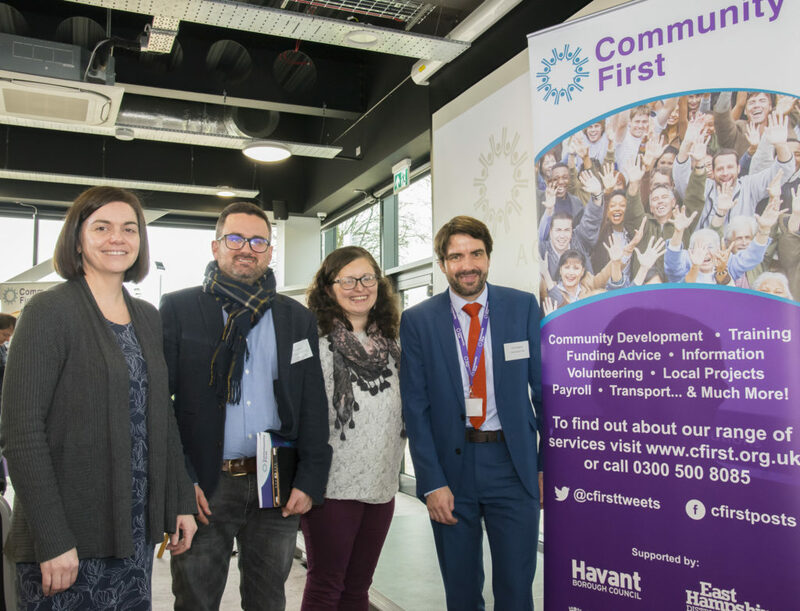 I am delighted that Community First’s 2019 Annual General Meeting and Members Event, held on 25th January at Village Hotel Portsmouth on the theme of Social Prescribing, was so well supported by our members and partners. 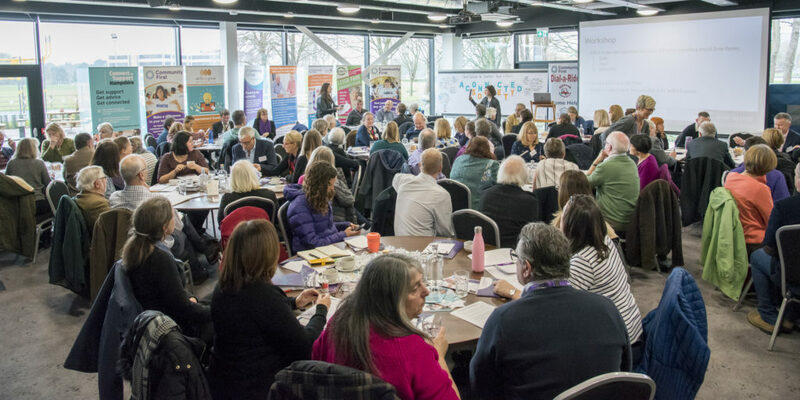 We welcomed over 130 delegates from the Voluntary, Community and Social Enterprise sector, partners from local Clinical Commissioning Groups, Social Services, Hampshire County Council and District Local Authority partners, GPs, NHS trusts and local businesses to explore how we can work together, using Social Prescribing to create social solutions for healthier people and places. With one in five GP appointments being for non-medical reasons, social prescribing enables GPs and other primary care professionals to refer patients to community-based, non-clinical services. These services are likely to be social activities provided by voluntary and community organisations. Chris Dayson, Principal Research Fellow at the Centre for Regional and Economic Social Research, was the first of our keynote speakers. Chris presented the emerging national picture on Social Prescribing. Debs Carter, Founding Director of Touch CIC, shared her personal and powerful testimony on the impact of peer-led support, the importance of meeting people as individuals, and taking time to listen to other people’s stories. Dr. Debra Gray, Reader in Psychology at the University of Winchester, led an interactive session towards a local model for Social Prescribing. Following the AGM and a good lunch, our Keynote speakers were joined by Elizabeth Kerwood from South Eastern Hampshire CCG to take questions from delegates in an Ask the Expert Panel. Presentation slides from our keynote speakers and the AGM are available here. With our keynote speakers Dr. Debra Gray, Chris Dayson, and Debs Carter. The event focused on exploring evidence from a range of perspectives which shows Social prescribing has a key role to play in helping to reduce pressure on GPs and, perhaps more importantly, shows that social prescriptions can improve an individual’s well-being through improving social connection. As Debs Carter noted in her keynote speech, for people receiving help, social prescribing is as much about forming friendships. I agree it is this personal touch that is a key part of what the voluntary sector can do in offering help. I would like to thank our delegates for their contributions to the event. People’s engagement with the workshops and panel sparked a nuanced and thought-provoking conversation that made the day a great success. Thank you to those who have provided their feedback on the event. If you would like to offer your thoughts there is still time, simply click here to go to our SurveyMonkey evaluation. I also want to offer special thanks to our keynote speakers and panelists for their time and insights. Chris Dayson, Debs Carter, and Debra Gray each brought a wealth of knowledge and experience that led to fruitful discussions. I am grateful to Elizabeth Kerwood for bringing an essential grounding voice to our panel from the local clinical commissioning perspective. I want to thank Penny Plimmer from Japics for her outstanding photography that captured the energy in the room. The photos from the day can be found on our Instagram page and on our Facebook profile. Finally, I wanted to offer my thanks to visual recording artist Emma Paxton of Imagistic. Throughout the event, Emma created a one of a kind graphic illustration capturing the discussions and contributions from the day in real time that resulted in a sticking and unique way to remember the key outcomes of the event. Illustration of the event’s outcomes by Emma Paxton, Imagistic. Click here to view full size. Feedback from delegates goes to show that this year’s event really struck a chord with our members and partners. The inclusion of Social Prescribing as part of NHS England’s 10 year Forward Plan and the commitment from the government to invest in a National Outcomes Framework for Social Prescribing is a recognition of the fact that the voluntary sector has a key role to play in helping to address many of the wider socio-economic determinants of health. For our part, Community First will continue to work with providers to improve our collective understanding of the strengths and qualities of the communities that we serve. We will continue to promote the breadth of the offer available through the local voluntary and community sector and will work to ensure we celebrate the unique character and innovation of smaller organisations. The voluntary sector has a vital role to play in helping to improve health and wellbeing and providing much-needed support for those with long term conditions and those who need help with social care. Community First’s role is to bring organisations together to ensure we make the very best use of our collective expertise and capacity. Our newly launched Social Prescribing Network will continue the momentum of this event. For more details, please contact Lin Dudman at lin.dudman@cfirst.org.uk.